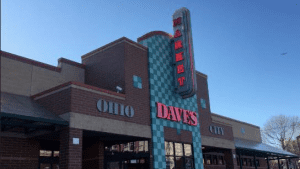 The Cleveland-Akron area is lucky to be home to a chain of community focused supermarkets, Dave’s Markets. “Our belief at Dave’s is that just because certain neighborhoods have less, does not mean the residents of these neighborhoods deserve any less of a shopping experience or less access to fresh food,” says David Saltzman, who handles finance and strategy at Dave’s Markets. Each store serves the community it is located in. “For example, Dave’s Mercado was launched at our Ridge Road location in 2007 to serve the needs of Cleveland’s growing Hispanic community,” says David. Collectively, the 14 stores employ over 1,500 people, and partner with local organizations, such as the Cleveland Food Bank. “We are proud to cater to customers from all walks of life,” says David. “We are concerned with food insecurity in our community and want to do our part to prevent it.” WIC and SNAP are accepted at all of the locations in order to make the purchase of healthy food choices affordable. A few of the stores are also piloting a program called the “double SNAP program,” which is a way for customers to find discounts on fresh fruits and vegetables. “It essentially doubles SNAP dollars when used on fruits and vegetables to promote healthy eating,” he says. Dave’s Markets is a family business with roots in Cleveland going back almost 100 years. What started as David’s great great grandfather Alex Saltzman selling produce, turned into the opening of the first Dave’s Market on Payne Ave. and E. 33rd in Cleveland. Over the years, with the help of each generation the company grew to open 14 full-service supermarkets that exist today.